Click on "Click to Show Advanced Options" to see the full setup, especially for DID's/inbound. Section "Outgoing Call Rules" is what you want to allow on this trunk/provider. 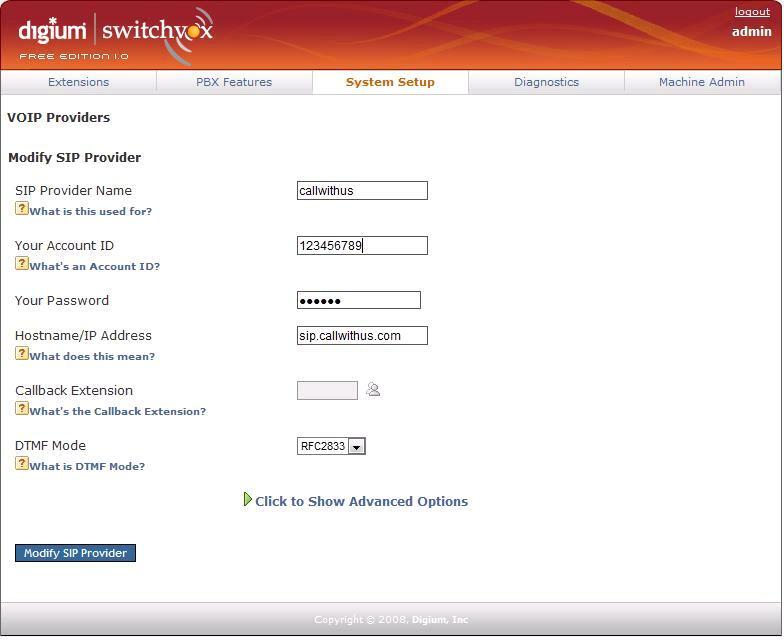 SwitchVox comes with a default set of rules (International, 1-900,toll-free,Long Distance, Local, 911, and Internal). For example, I disabled 1-900 and 911 on this line. When complete, click "Modify SIP Provider" to save.